. 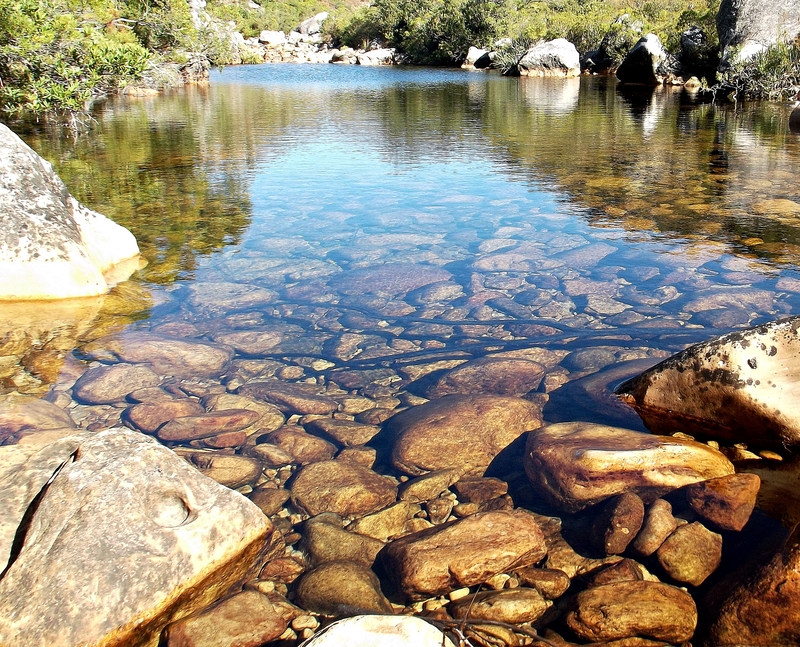 . . that lies hidden in Cape Town’s mountain ranges. Deep into the mountains there lies a hidden piece of heaven on earth. Crystal clear waters stretch out before me, surrounded by luscious green bush, accommodating jubilant bird life. Observing this enchanting scenery, my mind is cleared from all negativity and a burden is lifted from my shoulders. Standing here, my body is at peace with itself and all fear melts away. I draw in a deep breath, allowing myself to drift away into a mesmerizing state of mind, where only I exist and nothing or no one can bring me down, I feel invincible. Baffled, I am, as to how it is possible for nature to possess such an enchanting demeanour and yet you’ll find conceited individuals who’ll still punish it with their artificial, detrimental filth. A scenery so unerringly fair and precious will soon be left in anguish if we are not protective of mother nature’s work of art, otherwise we are left with a flaccid and tedious environment. ‘Tis up to us to redeem that which has already been damaged! We need nature and the nature needs us! I am honoured to have such beauty on my doorstep, in Africa, but I fear for the day that there will be nothing left to see if the man puts his own selfish desires of scraping such beautiful land for his personal use before those of nature. Nature belongs too all of us, it is there so that we can admire and embrace it, not demolish and scrape it.